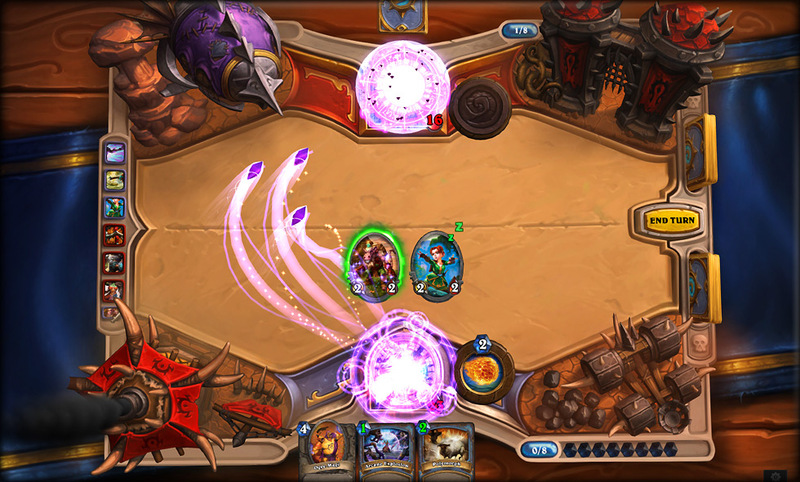 Unless you were paying particular attention, you might have missed that Hearthstone went live yesterday. It's been a long road through beta, but it's proven to be a worthwhile venture, as the launch has, at least in my experience, been rather flawless. That's not to say it's a perfect game, but it hasn't shown signs of any of the major server problems that Diablo III saw at launch, which speaks volumes to the value of a robust beta process. Hearthstone,for those who've been hiding away for the past several months, is a free-to-play, digital-only collectible card game. You earn gold by completing daily quests, like "Win 2 Matches With Warlock or Mage," play Arena, which is the draft style format, and earn packs of cards to further your collection. If you get cards you don't like, you can destroy them to gain Dust, which you use to craft the cards you do want. It's not as strategically in-depth as the likes of Magic: The Gathering, but then it's also not been around for 20 years. 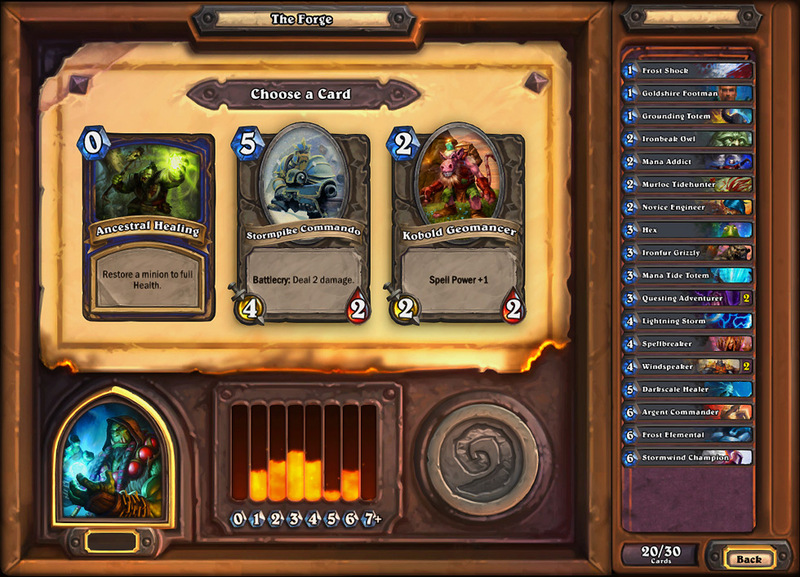 I got to ask a few questions of Eric Dodds, Lead Designer on Hearthstone, about the development team and process, as well as design choices like tweaking cards to maintain a balanced and fun environment. Given how vast the dev team for blockbuster titles like World of Warcraft and Diablo III are, it must be a wildly different experience working with a small team on a free-to-play title. "I love the fact that the team is close. We often eat lunch as a group, for example," Dodds said, "I love that everyone gets to be a little bit involved in everything, and it is hard to find a part of the game that doesn't contain multiple ideas that came from multiple people around the team." Now that the beta is over, and launch has finally arrived, the burning question might be how would one celebrate such a victory. The answer? Donuts. "We had a lot of people bring donuts," he said, "The formal celebration will happen sometime next month with a toast and raising of a Hearthstone flag here at Blizzard." Of course, there's also the matter of finally getting out of crunch time. "One of the things we are looking forward to most as a team is for things to slow down a bit post launch so people can drop out of crunch mode and spend a bit more time with their loved ones," Dodds explained. 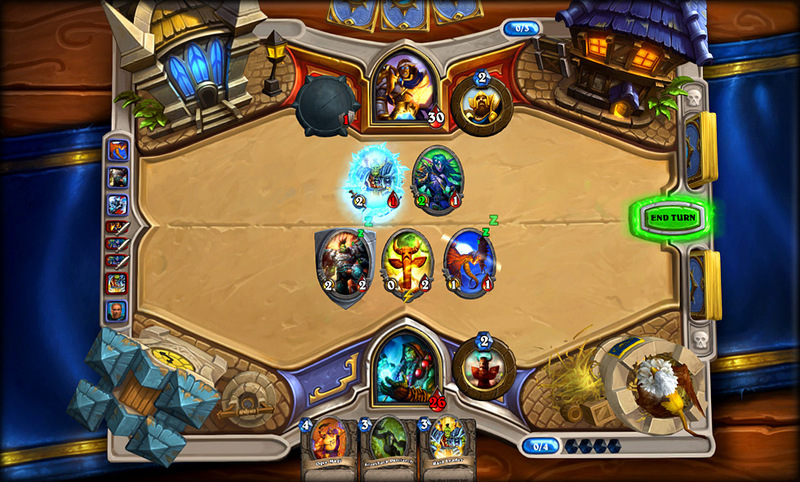 Ironically, while the Hearthstone beta seemed to last forever to us on the fun side of it, according to Dodds, "this didn't seem like all that long of a beta." Referencing World of Warcraft as his last beta project, which apparently lasted a full year. Ultimately, it was a boon for the game, though, as Dodds explains, "It's been great, since there has been tons of great feedback coming from the community and we have actually had time to incorporate tons of the balance and general feedback we have gotten to make the game better. " If you've been in the beta, you have probably seen a number of nerfs and buffs across a variety of cards. Sometimes it's obvious why it needed adjustment, but sometimes it's a great mystery. Sometimes, it's just a matter of what is and is not fun. "In some cases the change has nothing to do with balance and has more to do with what is fun (or not fun) to play against," Dodds explained, referencing the Freeze AOE nerfs across the board for Mages. Randomness can factor into it, too, as was seen with Nat Pagle. They "don't want to have neutral cards that create so much card draw that most players are playing it, and because it has a strong random element to it to boot," according to Dodds. Likewise, cards that simply shift the focus of the game entirely get adjusted, too. "We changed Tinkmaster Overspark because it was making players less interested in running the big fun cards like Tirion or Ragnaros or other cards when Tink was just going to remove them," Dodds said,going on to conclude that, "mostly we are going to do what is right for the game. As you might expect, it wasn't possible to get a straight answer out of him for everything, like what the most powerful card is, but he offered some guidance for deciding on your own. "There certainly is a leaning toward cards that have an effect before your opponent can do anything, like Ragnaros or Ysera, and so the community might call out a card like that," he said, "On the other hand there are cards like Al'akir that are often pointed out as a weak card, but you will see him played in a lot of high-level decks, so perhaps there is some value there that is not yet widely perceived." 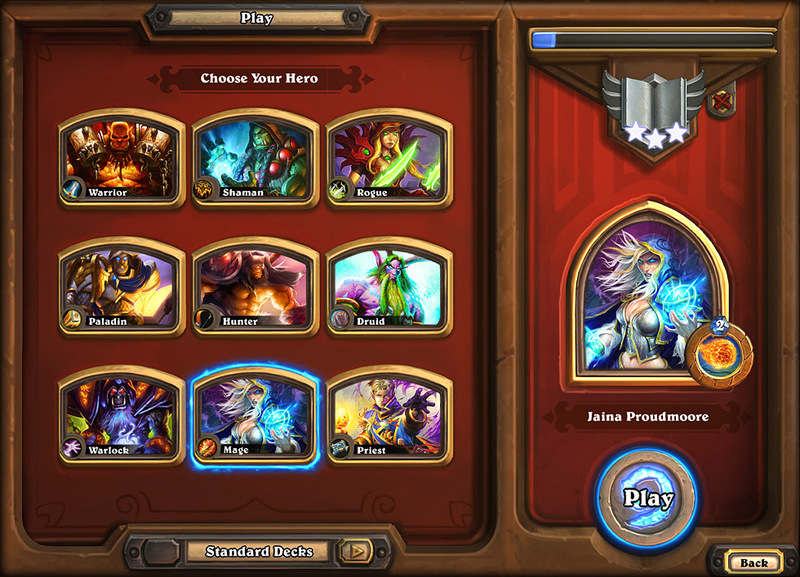 Finally, what about the future of Hearthstone? Should we expect expansions a la Magic and virtually every other card game out there, or something more novel than that? "We are already working on the first adventure, and we should be able to talk about it before too long. 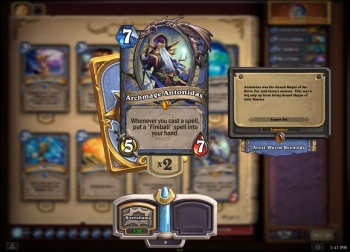 I can say that we as a team are really excited to start working on many of the great features that will really start to expand the game and broaden the Hearthstone experience," Dodds explained. 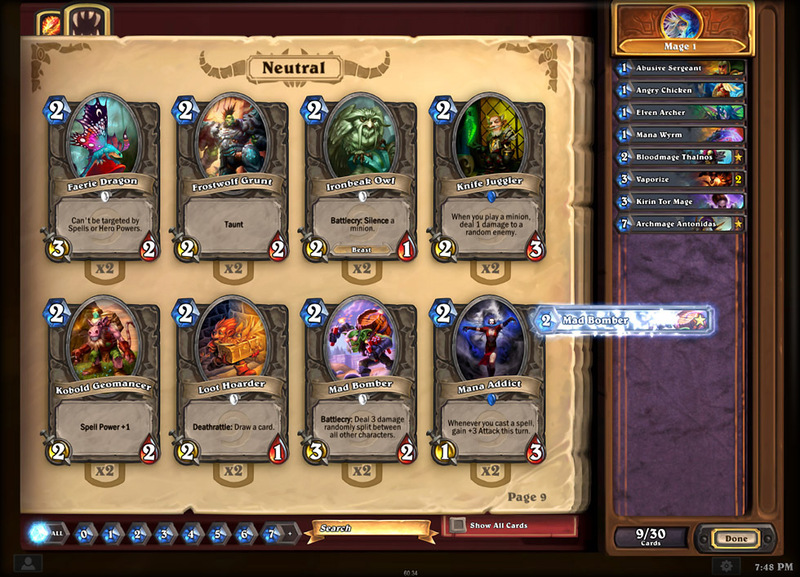 If you're new to Hearthstone, you should check out my quick and dirty guide to not losing immediately to Rush decks before you dive into Ranked play. If you're a veteran, hop into the comments here or there and let us know what you think about the latest changes and launch. I, for one, still think Unleash the Hounds should cost 3. Want to read the full Q&A? Check it out on Page 2!